1916 – Albert Einstein sent a paper off to Annelen Der Physik. The paper was called “Die Grundlage der Allgemeinen Relativitatstheorie” – translated as “The Foundation of the General Theory of Relativity”. 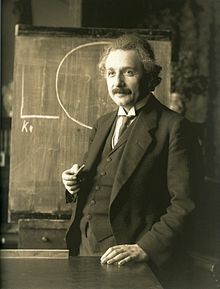 The paper included the Principle considerations about the Postulate of Relativity, Mathmatical auxiliiaries for establishing the general covariant equations, theory of gravitational fields, and Newton’s theory as first approximation. For years thereafter, people studied this theory and tried to prove or disprove it.